A major update to the official Facebook app for iPhone was released earlier today, adding new sharing options from the compose screen and privacy controls that match the options set on Facebook's website. 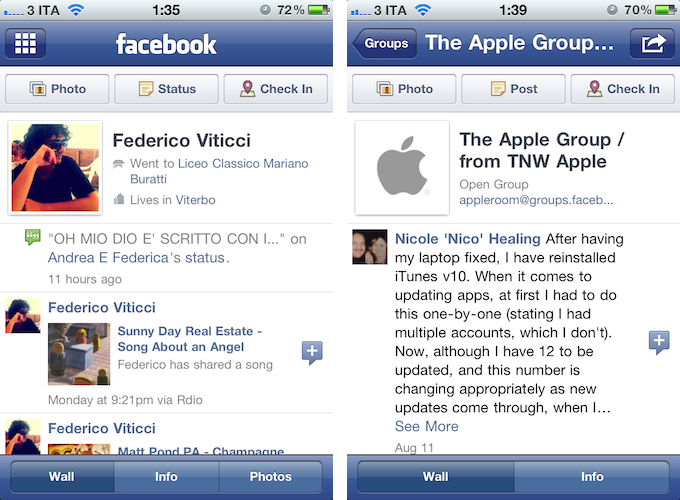 First off, Facebook 3.5 brings a new design for Profile and Group walls; the app appears to be more streamlined and in line with Facebook's recent changes to its web UI. Perhaps more importantly, Facebook for iPhone now lets you tag friends and places in posts, and share links from a web view opened through Facebook. The updated compose screen has got buttons to add friends from a list (and even search), tag a place, or add a new photo or video. 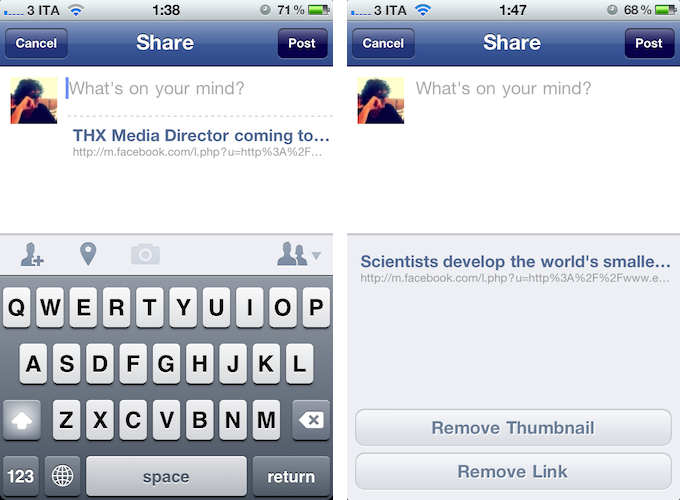 As for sharing links, Facebook now lets you open a webpage in-app, and instantly reshare it (with an optional comment) with your friends. When sharing a webpage from a web view, tapping on its link in the compose screen will enable you to remove the link entirely, or just its thumbnail. An official iPad app from Facebook is expected to be officially unveiled soon, likely at the upcoming f8 conference on September 22. The iPad client was discovered inside the iPhone application back in July, although it appears the latest version removes iPad elements, thus making it impossible for Cydia tweaks like FaceForward to force-enable the yet unofficial iPad app. 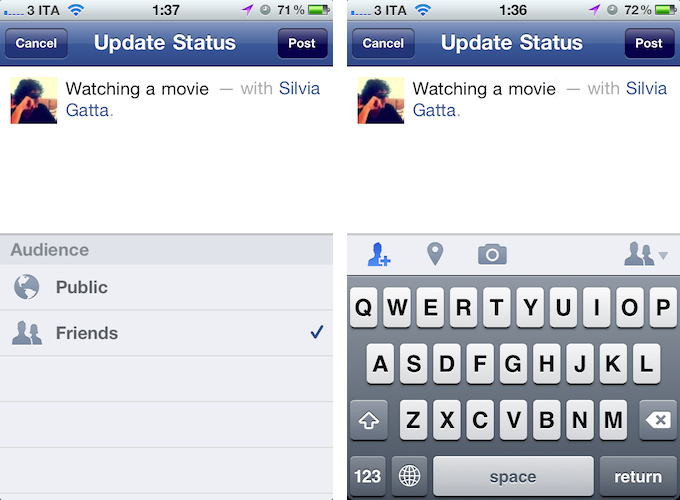 Facebook for iPhone is a free download on the App Store.